Pat Barker is one of my top five novelists. She writes sparingly with not a word wasted, but creates a world so real with detail and characterization. 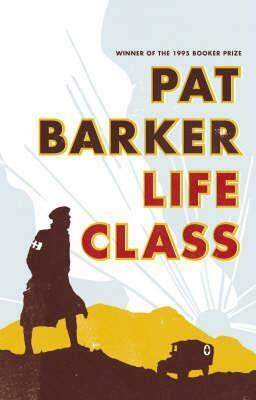 Life Class is the first of her #LifeClass trilogy of novels which tell the story of brother and sister Elinor and Toby, and Elinor’s fellow art students Paul and Kit, through the Great War. I first read this book when it was published in 2007 and devoured it. I have re-read it now to refresh my memory of the story and characters, before I read the newly published third volume of the trilogy, Noonday. The story starts in 1914 in a life-drawing class at the Slade School of Art in London. The class is taken by Professor Henry Tonks, a real-life character, artist and surgeon. 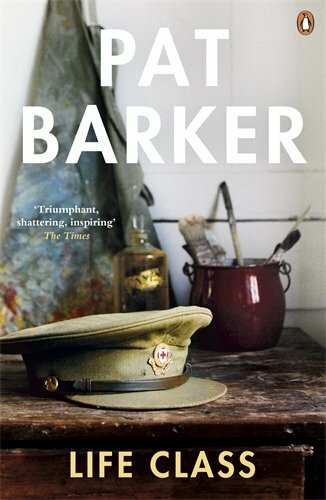 Barker weaves her fictional story around the true story of Tonks, the Slade, and the outbreak of the Great War. For student Paul Tarrant, the presence of Tonks is intimidating, as he struggles to find his identity as an artist. This is a novel about young people and their journey from youth to maturity via art and love, brutally influenced by the horrors of war. Interwoven with Paul’s story – he volunteers as an ambulance driver and goes to Ypres, working in a hospital – is that of Elinor Brooke, fellow art student. Elinor’s journey to adulthood is different, given that she is a woman at a time when middle-class women are not expected to have a career. She remains in London, continues to paint and mixes with the society group of Lady Ottoline Morrell, another true character, mixing with pacifists, conscientious objectors and the Bloomsbury Group. Essentially, this is a triangular love story set into the structure of war. As the students struggle to define themselves as artists, their safe world collapses around them and the abnormal becomes normal. As Paul undertakes gruesome nursing tasks, he questions the purpose of war art and what it can achieve. As his life becomes surreal, so he is cast adrift from his former life without context to judge either his ability as an artist, or his humanity in the face of war. Are some things simply too horrific to paint? My own copy of Life Class has the most beautiful cover [left]. This is the first in Pat Barker’s #LifeClass trilogy.